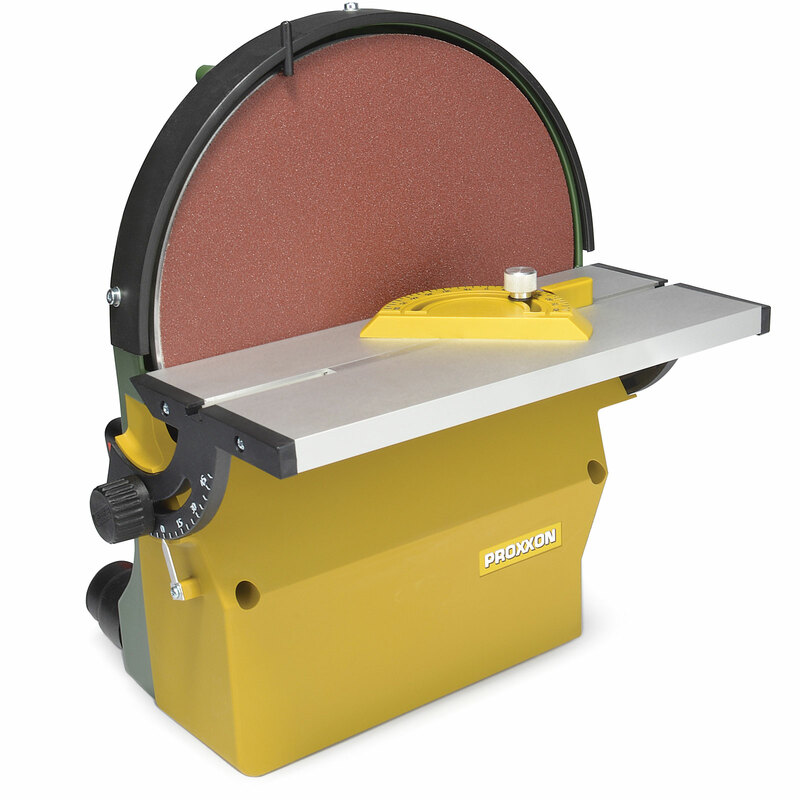 10 Inch Variable Speed Disk Sander for smoothing, polishing, de-burring and beveling of hard and soft wood, non-ferrous metal, steel, plastic (also plexiglas and fiberglass reinforced plastics), cork and rubber. Sands long edges, end sections, radii, miters, and accurate flat surfaces at right angles. Comes with miter gauge and a silicon disk attachment which allows sanding disks to be easily removed and replaced. Includes 2 each 80 and 240 grit aluminum oxide sanding disks. High-quality, made in Germany. 2 year warranty. This is better than we expected. If your looking for a precision sander this is it. Compact but has plenty of power, so it won't take up much space. The 4 sanding discs that come with the sander are of great quality.